Sound financial health. It takes in-depth analysis. It takes careful planning. It takes solutions, tailored to meet your unique requirements. At Bailey Wealth Advisors, we employ a disciplined, structured approach to financial planning that ensures we incorporate all of your needs, goals and objectives, in a financial plan that’s appropriate for you. Bailey Wealth Advisors is a regional organization of financial planning professionals who specialize in identifying and resolving complex estate, business transfer, retirement and investment problems. We have a long and proud history of helping to meet the needs of business owners, executives, professionals and retirees. Our process includes two primary steps: first, to fully understand and analyze the specifics of your financial situation and, then, to provide you with the information, advice and alternatives you need to make the appropriate decisions about your financial future. Our financial plans are designed to meet your unique needs, circumstances and objectives. With retirement often lasting for 20 years or more, you may be concerned about outliving your savings. You may have a savings shortfall, or other challenge that could impair your ability to afford the lifestyle you desire. We’ll help you choose the appropriate techniques to accumulate wealth for retirement and offer sound alternatives for income distribution during retirement. Obtaining investment information is easy; choosing the investments that are right for you is much more difficult. We assist you in identifying your investment objectives and tolerance for risk. Using that knowledge, we recommend an appropriate asset allocation and protection strategy. Giving back to your community, alma mater, a non-profit foundation, or even a special individual can have a significant and beneficial impact on the lives of other people. It can also have both short, and long-term benefits to you and your heirs. We can show you how, using the financial resources you've accumulated during your lifetime. If you are a business owner you must face the inevitability of succession. We can help you to decide whether to keep or sell your interest at death, disability or retirement. We can also assist as you work to maximize equity or attract talent acquisition goals. Our efforts are specifically directed to protecting assets, transferring the business, building for retirement, and preserving wealth. For some, estate planning can be relatively simple, involving only a will or perhaps a simple trust. That doesnt mean its a simple process. In fact, estate planning is a complex subject that deals with topics most people naturally wish to avoid: the inevitability of death and, in some cases, taxes. Proper planning is critical to identify potential problems and structure your affairs. We provide advice on a range of issues and show you how to manage your assets and wishes when you are not able. You’ll find that working with Bailey Wealth Advisors is a unique experience. Through our registered investment advisor, you will have access to asset allocation and financial planning services. Our financial planning process puts the emphasis on you and your needs, not on a prepackaged set of solutions or ideas. We are committed to providing you with the information you need to make timely, informed decisions about your financial future. The benefits of this approach are quickly apparent: you enjoy a greater understanding of the impact of various options and are better positioned to make the appropriate decisions for yourself and your family. We do not claim to be all things to all people. We work with high net worth business owners, professionals, executives and retirees – people who are responsible, respected leaders in their industries, professions and communities. By limiting our scope, we have developed a detailed understanding of the unique problems and opportunities our clients face. And that translates into our ability to help you toward your financial goals. Estimates, at various points in time, the your net worth, savings, investments, and value of your estate. With our sophisticated modeling, we can determine the adequacy of your current financial situation, show how a given financial planning strategy that you have already implemented or are considering compares to other available strategies, and demonstrate what may happen to your current financial plan if you should experience significant changes in your personal or family situation, taxes, inflation or investment returns. Many of our clients have trusted, long-term advisors – perhaps an attorney, a CPA or both – who have done much of their planning work (wills, trusts, business agreements, retirement plans, etc.). Our work supplements and coordinates the services these professionals provide. While each of your existing advisors is a focused specialist, we look at the various pieces of your financial picture and put them together using a cross-disciplinary approach to help you achieve your objectives. 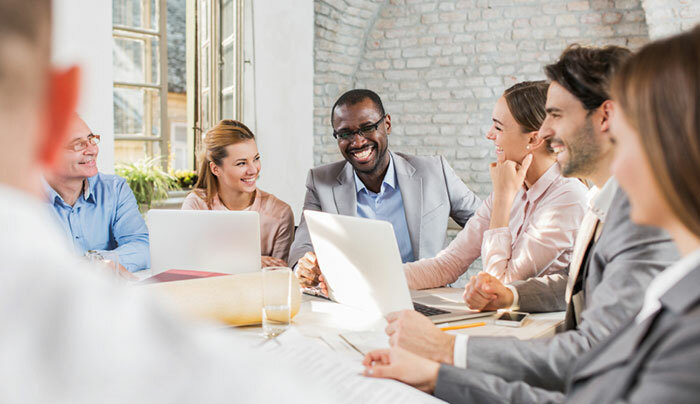 We also work closely with your advisors to ensure the alternatives you choose complement any existing business, estate tax or investment strategies. In addition to outlining various alternatives for your consideration, we can help implement your decisions. Through Lincoln affiliates and other fine companies, we offer an extensive portfolio of insurance products, including individual and survivorship whole life, universal life and variable universal life, as well as term insurance. To complete our portfolio, we also offer a full range of investment products through our brokerdealer. With access to so many products and companies, you can be confident that we will provide you with some of the most innovative, appropriate and objective solutions to your financial problems and needs. Your relationship with Bailey Wealth Advisors doesn’t end once we complete our work and you implement your financial plan. Because your personal situation and objectives are not static, the plan you develop today will rarely meet all of your needs in the future. By periodically meeting with you, we will analyze any changes in your financial situation, evaluate their impact on your current plan, and recommend alternatives as necessary. This oftenignored step is critical to help ensure the long-term benefit of the financial planning process for you and your family. At Bailey Wealth Advisors, we adhere to Lincoln Financial Advisors philosophy - “Serve First, Last and AlwaysSM.” The essence of this philosophy is that in all client engagements, regardless of the circumstances, we are committed to do whatever is required to get you to take whatever actions are necessary to put your financial affairs in the appropriate order. Conviction in what we do and sell; the courage to get our clients to take action; the competency to guide them; and communication that builds understanding and trust – these are the key qualities of “Serve First.” And these are the commitments we make to you when you choose to retain us. Bailey Wealth Advisors is the marketing name for registered representatives of Lincoln Financial Advisors. Lincoln Financial Advisors is an affiliate of Lincoln National Corporation, a prominent financial services company dedicated to helping clients build, preserve and protect wealth. This arrangement provides depth, stability and significant resources to our clients. In developing your personal financial plan, our associates draw upon the specialized knowledge of local investment specialists and plan designers. They also have access to a National Design team of financial specialists. Our professional staff utilizes these resources while managing the complex planning issues of our clients. Our name and reputation have been built on servicing each client as if he or she were our only client. The personal attention that our representatives provide is one of the primary reasons that many of our clients become partners for life. If this is the kind of partnership that makes sense to you, give us the opportunity to personally discuss the benefit of our work with you. We are confident you’ll be glad you did. At Bailey Wealth Advisors, we’ve built our advisory business on proactive, comprehensive financial planning with an emphasis on achieving sustainable wealth solutions for the generational security of affluent families, business owners, executives and small institutions. We provide advice and solutions to help people save for tomorrow, secure and optimize their income, protect themselves and their loved ones, and prepare for the unexpected.